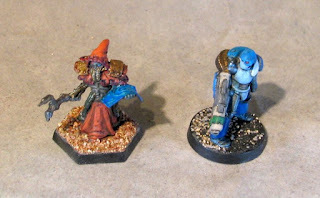 A couple of 'borged-up miniatures this time. First we have a classic Void 1.1 Tactical Androsynth. This guy has been partially painted for years and I finally pulled him and a few others out of storage to try and finish them up. 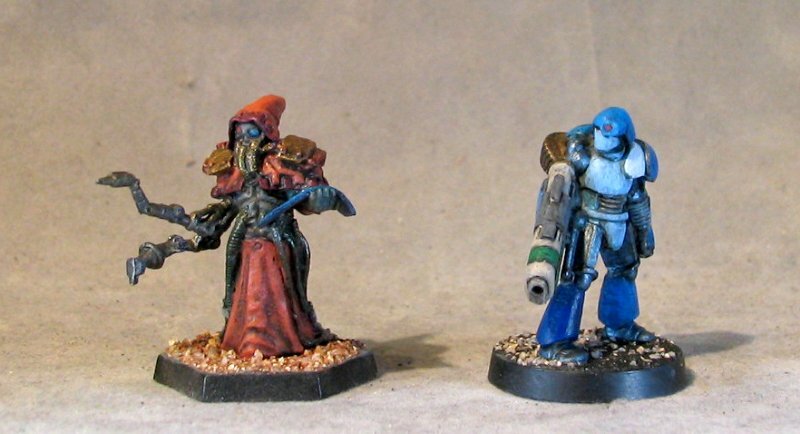 While the Androsynth sculpts are some of my favorite Void miniatures, I have only painted 4 since they originally came out (back in 2003?!?). The first was probably around 2003, next was maybe 2007, then the converted Assault Androsynth was 2010, and now 2018. 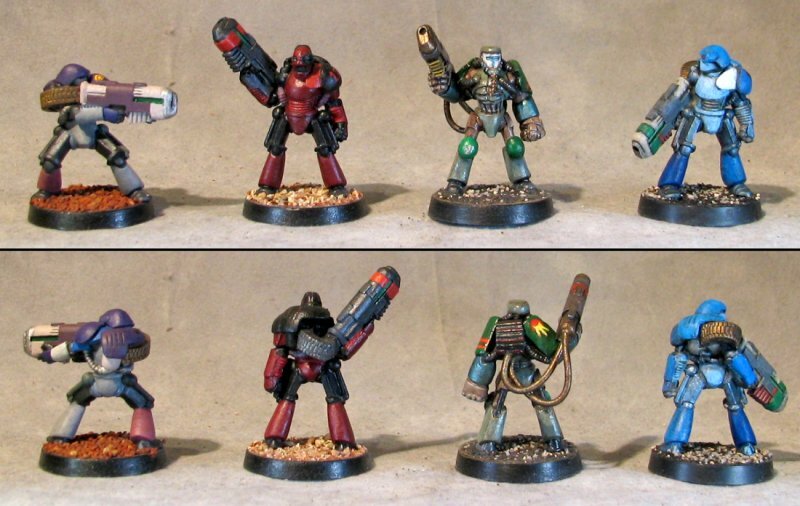 Talk about slow unit building- and these aren't even in the same unit! Then we have this other mini that has been waiting for paint for a few years- from Micro Art Studios' Iron Brotherhood (not-Mechanicus). I decided to swap out the original separate arms for some that were a little more interesting. Rather than overtly built for fighting, Tabanuzi is armed with a couple of mechanical arms on the right and a tablet-type scroll in his normal-looking left arm. 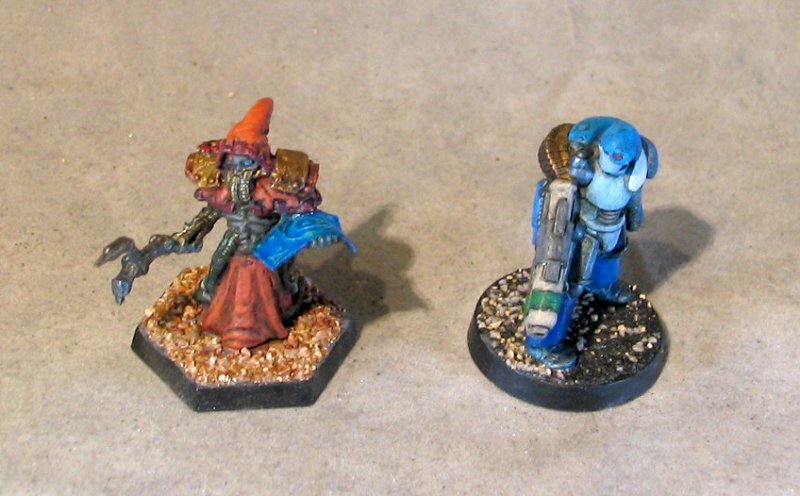 And here is the extent of fully painted figures from the Emneric Warband (not Adeptus Mechanicus).